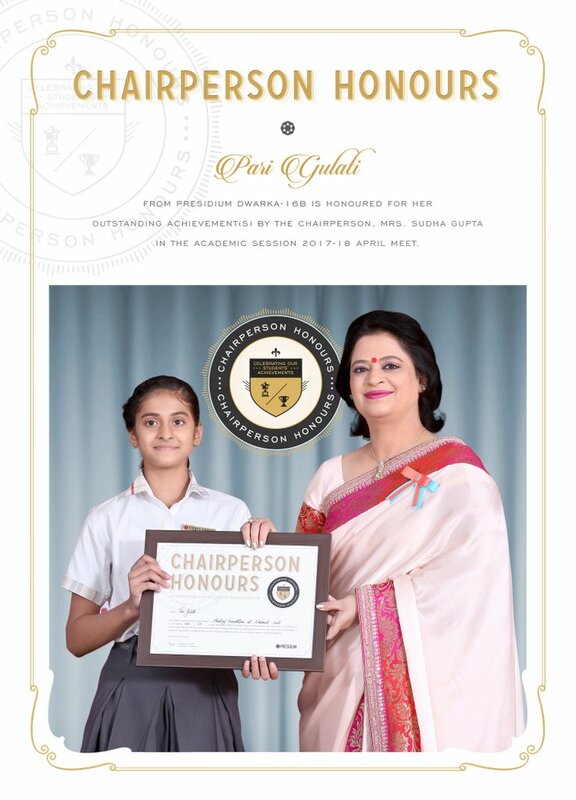 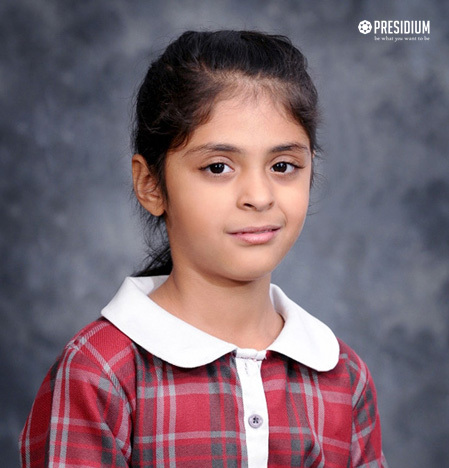 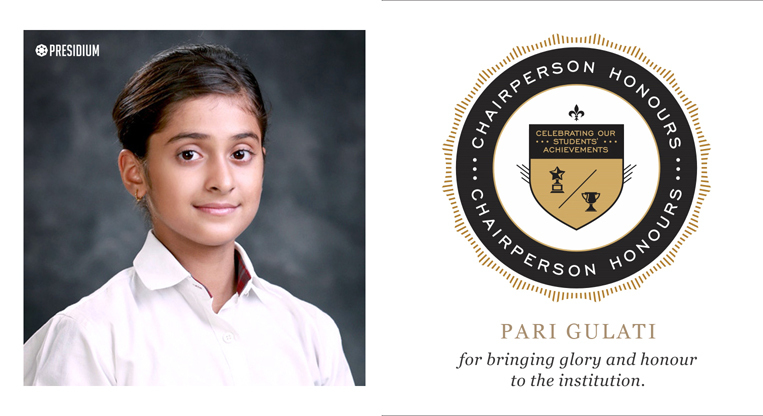 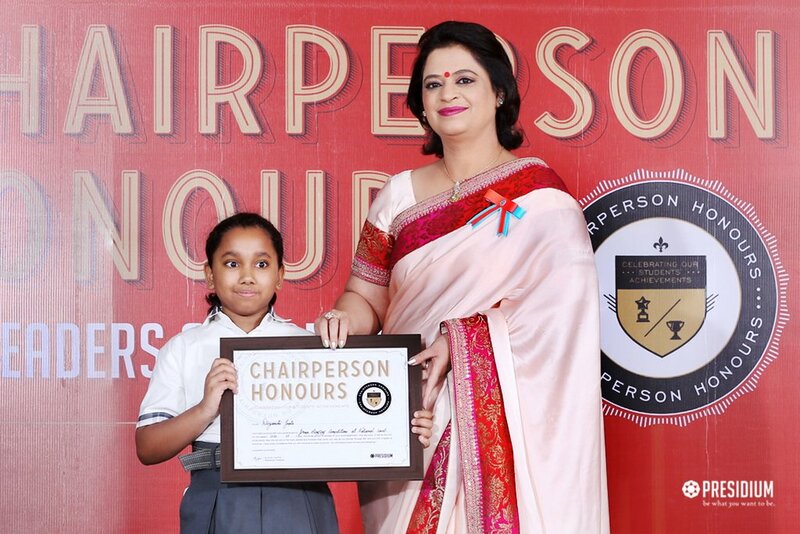 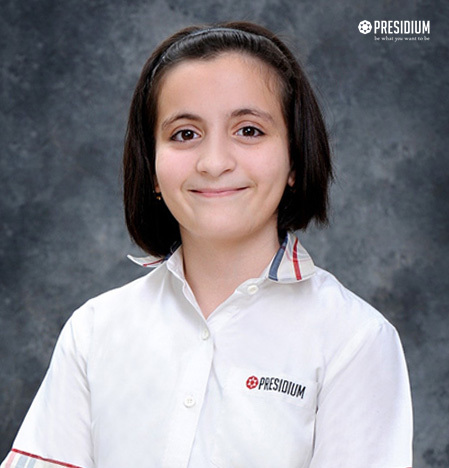 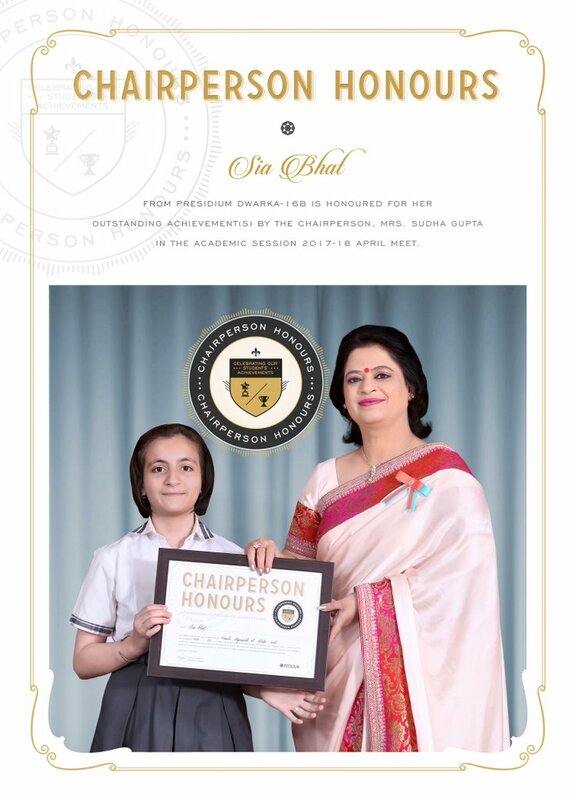 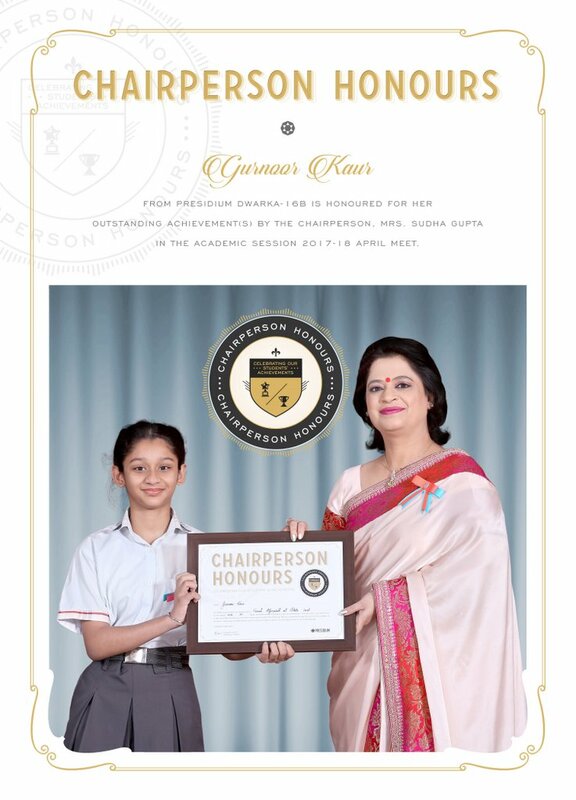 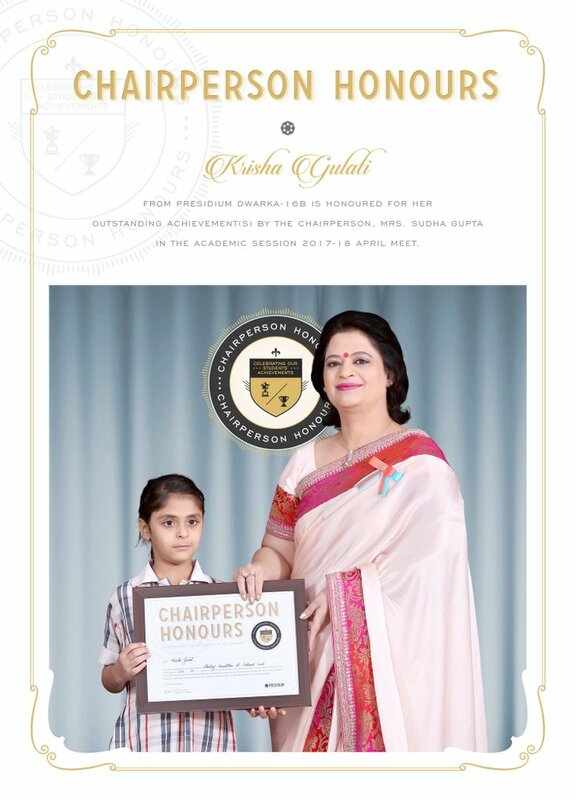 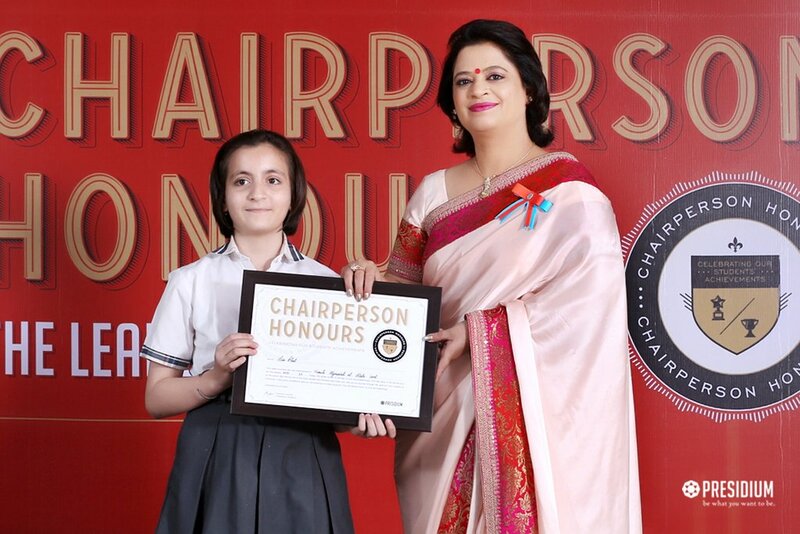 Gurnoor Kaur of Grade VI F, from Presidium Dwarka 16B, won a Silver at the State Level in French Olympiad (French Word Power). 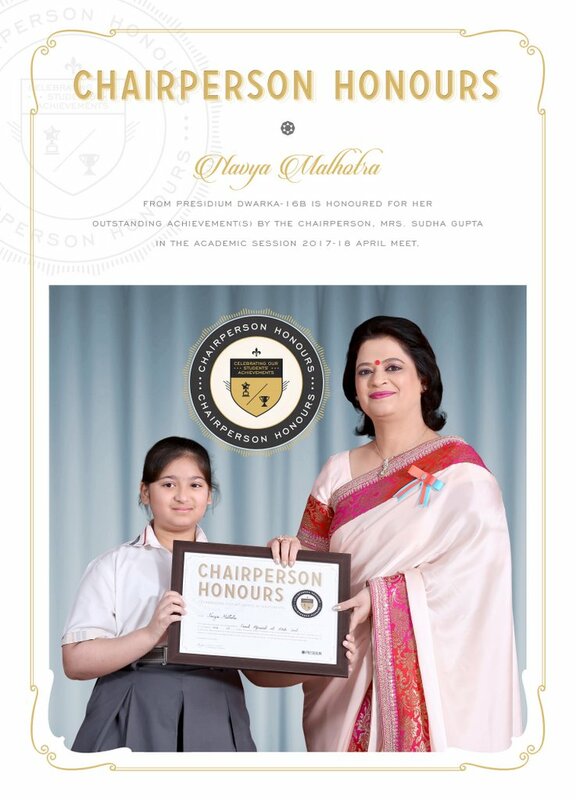 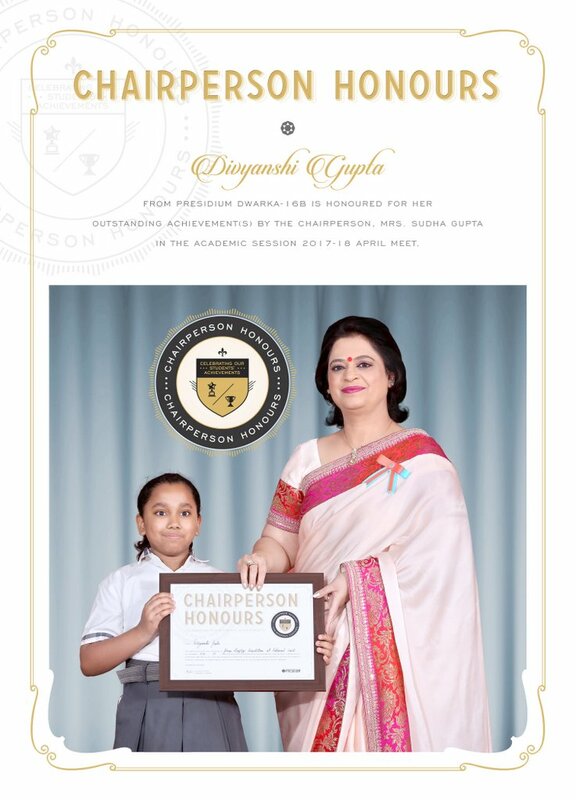 Navya Malhotra of Grade VI A, from Presidium Dwarka 16B, won a Silver at the State Level in French Olympiad (Concours Romain Rolland). 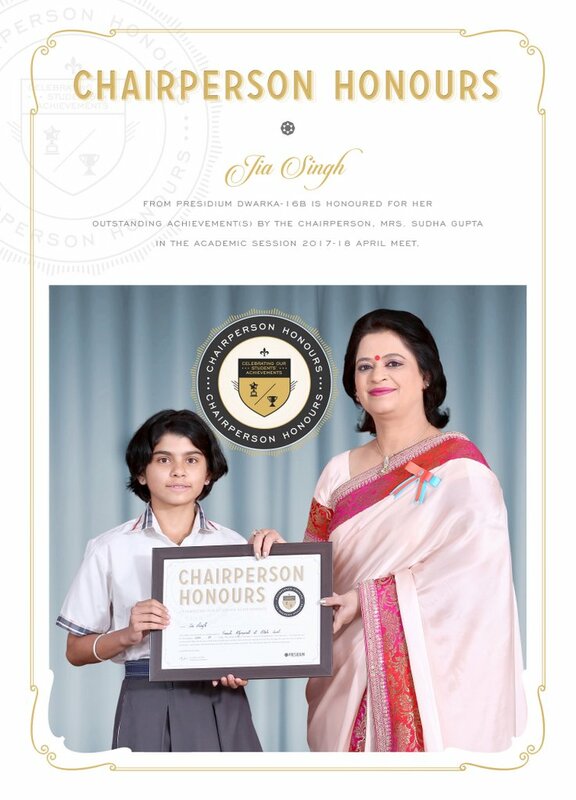 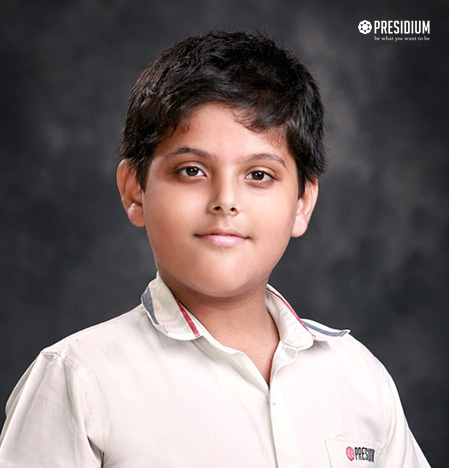 Jia Singh of Grade VIII C, from Presidium Dwarka 16B, won a Gold at the State Level in French Olympiad (Concours Romain Rolland). 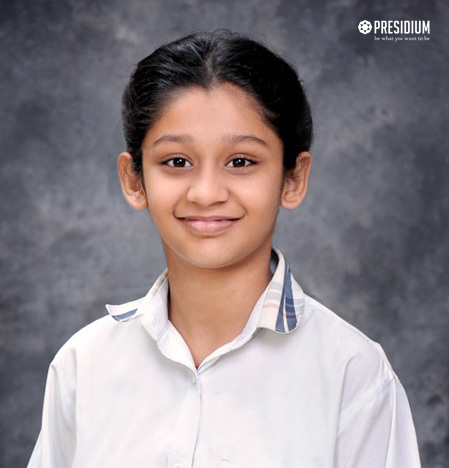 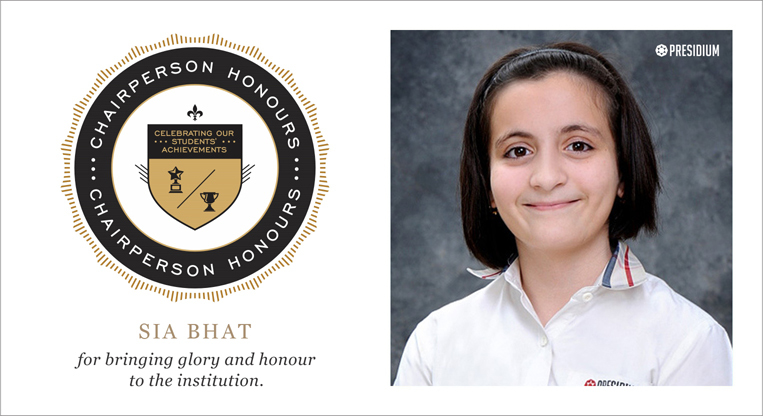 Sia Bhat of Grade VI F, from Presidium Dwarka 16B, won a Gold at the State Level in French Olympiad (French Word Power). 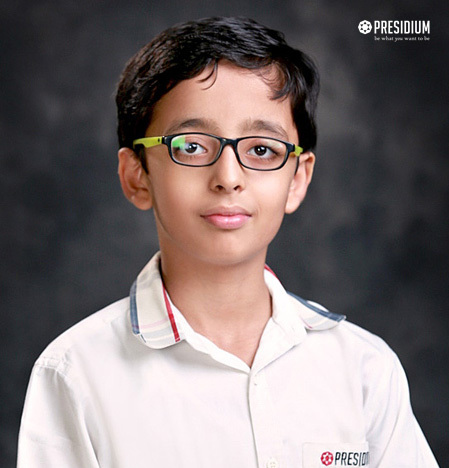 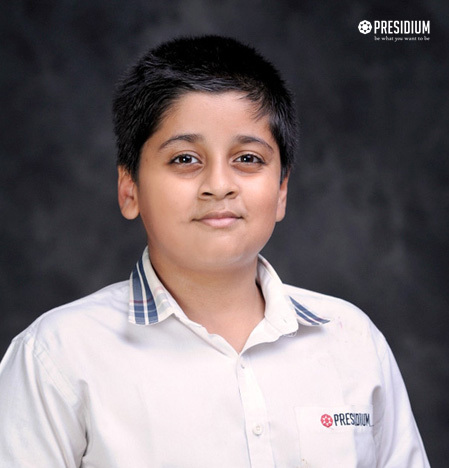 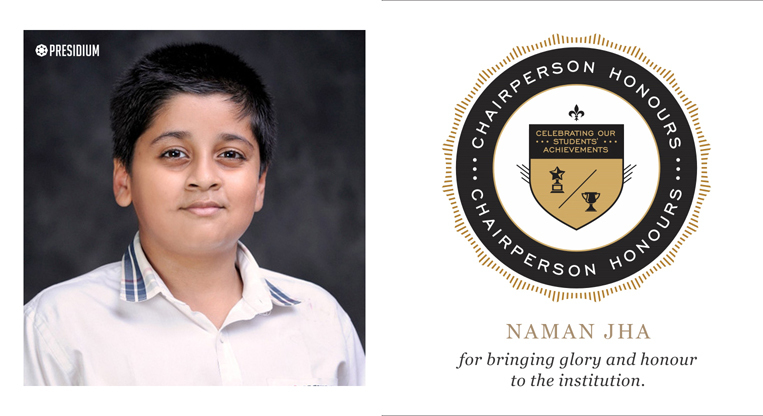 Ashutosh Rath of Grade VI C, from Presidium Dwarka 16B, won a Gold at the State Level in French Olympiad in Concours Romain Rolland at the French Olympiad, conducted by the Prayatna Educational Society in collaboration with Alliance Française de Rouen (International French School of France). 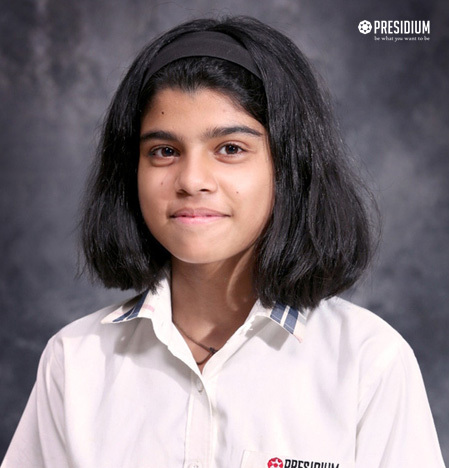 Pari Gulati of Grade VII C, from Presidium Dwarka 16B, won a Silver at the CBSE National Skating Championship 2016. 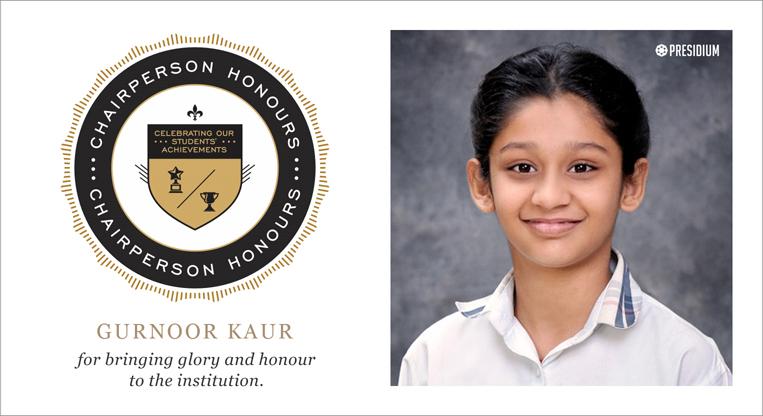 She also won 2 Gold medals at CBSE Central Zone Skating Competition and 3 Silvers at 43rd Delhi State Roller Sports Championship 2016. 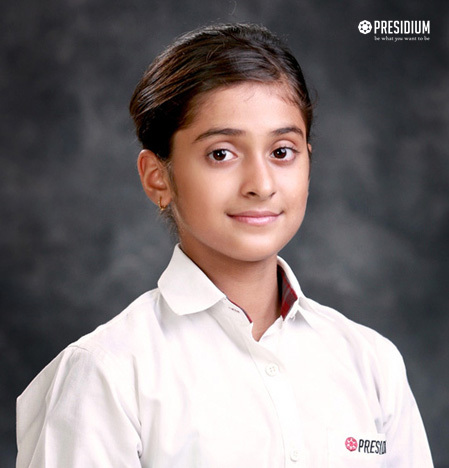 Krisha Gulati of Grade II B, from Presidium Dwarka 16B, won a Gold in CBSE National Skating Championship 2016. 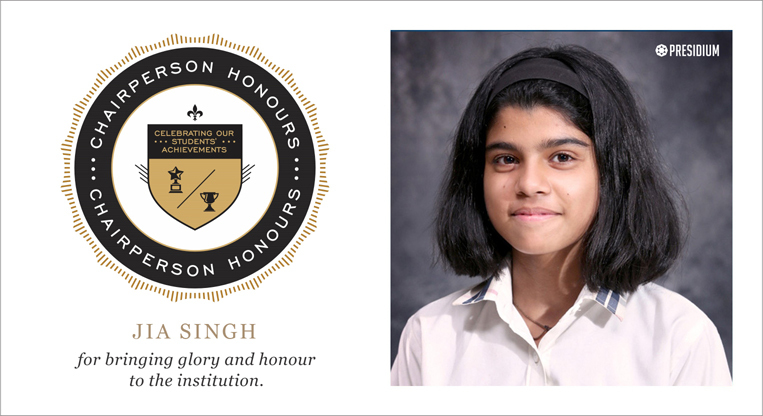 She also won 3 Gold medals at State level at the 43rd Delhi State Roller Sports Championship 2016 and 2 Gold medals and a Best Skater Trophy at the CBSE Central Zone Skating Skating Competition 2016. 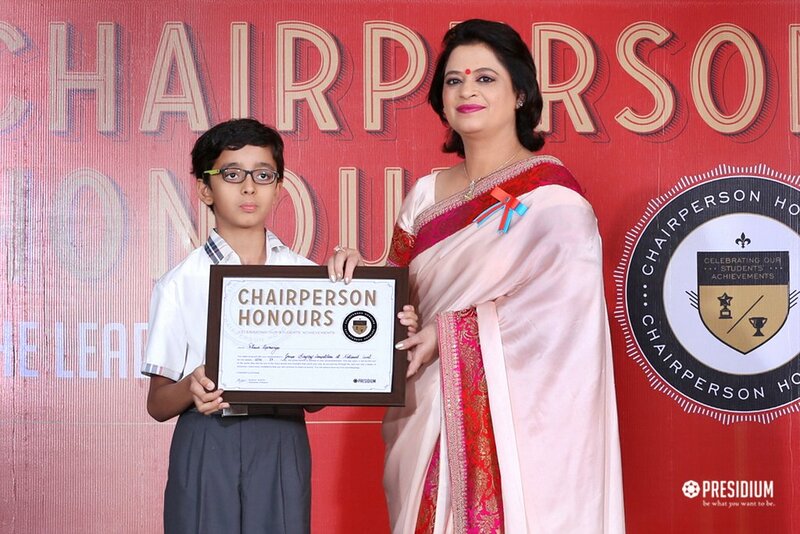 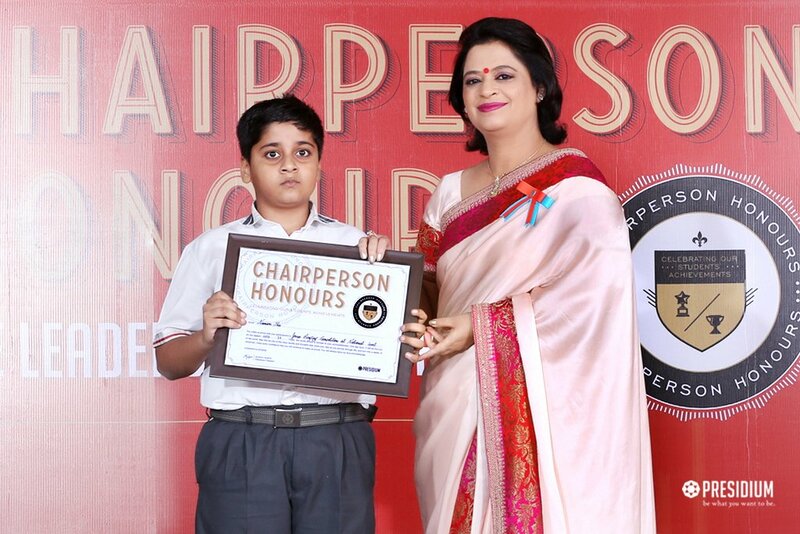 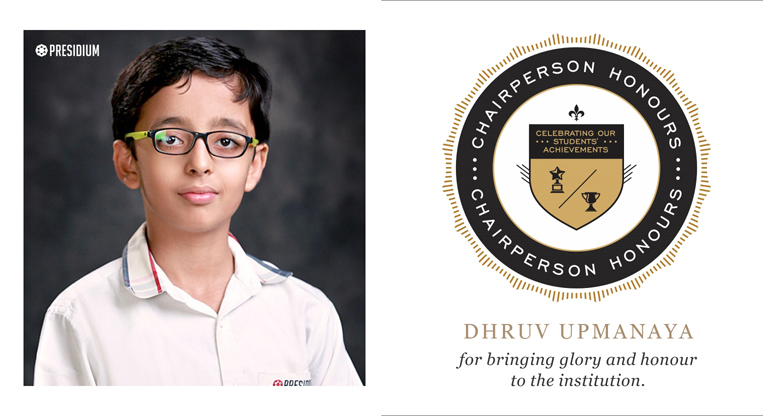 Dhruv Upmanya of Grade V F, from Presidium Dwarka 16B, won the 1st Runners Up position in the Best Lyrics category at the National Level Group Singing Competition at the Itihaas Cheshta, conducted by Itihaas Anveshan. 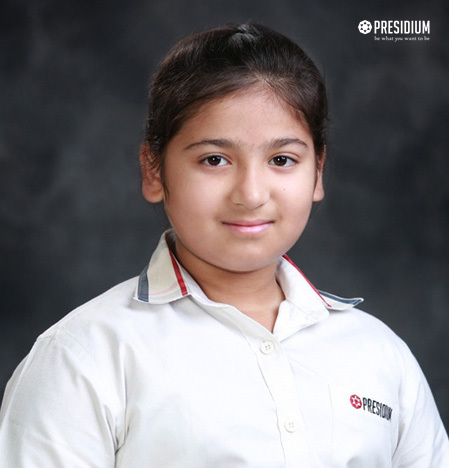 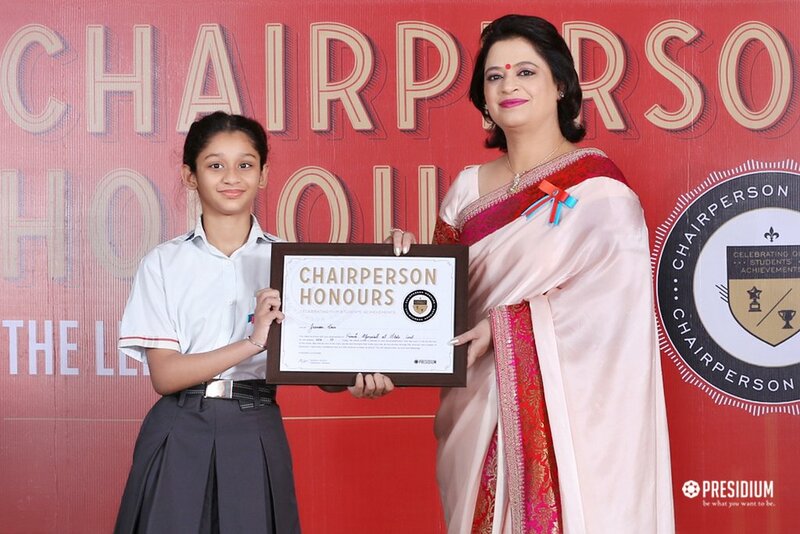 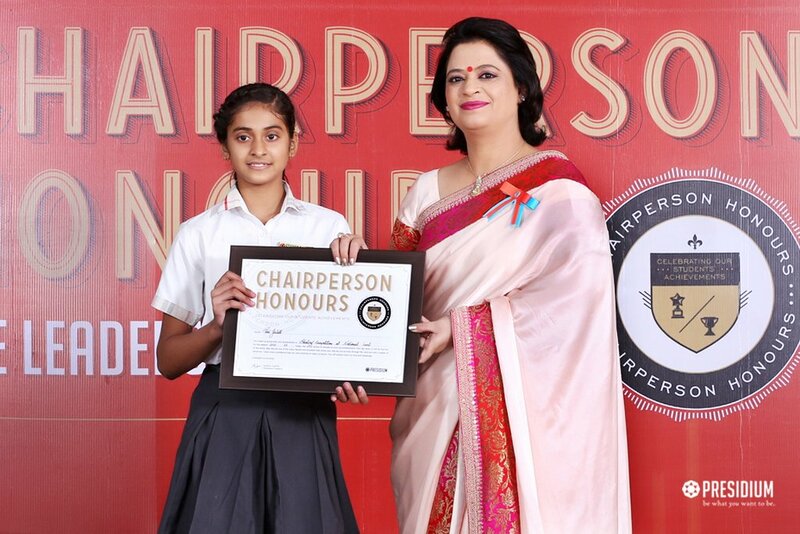 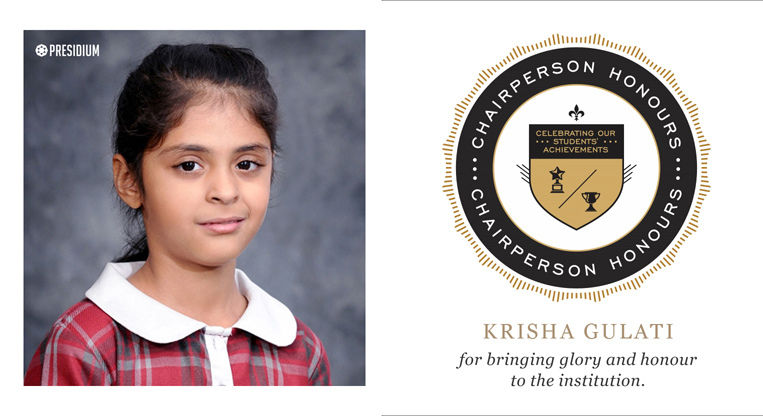 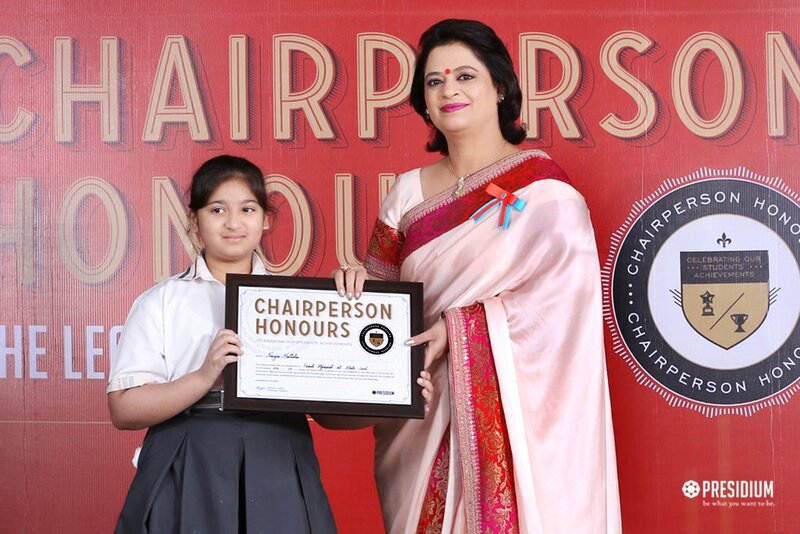 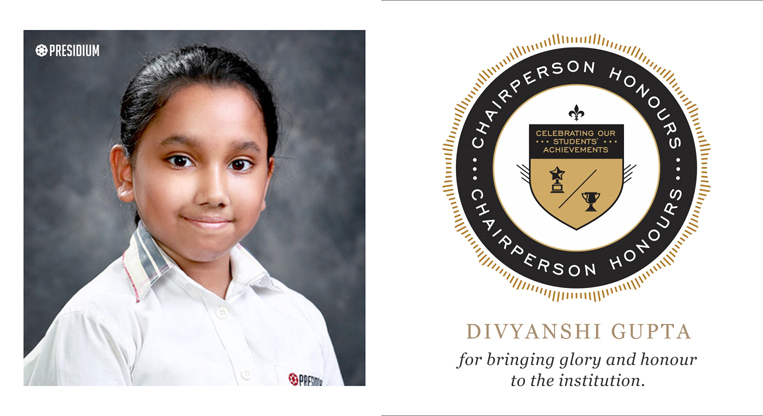 Divyanshi Gupta of Grade IV F, from Presidium Dwarka 16B, won the 1st Runners Up position in the Best Lyrics category at the National Level Group Singing Competition at the Itihaas Cheshta; conducted by Itihaas Anveshan. 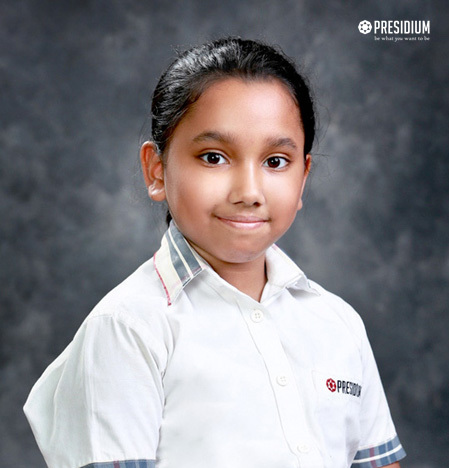 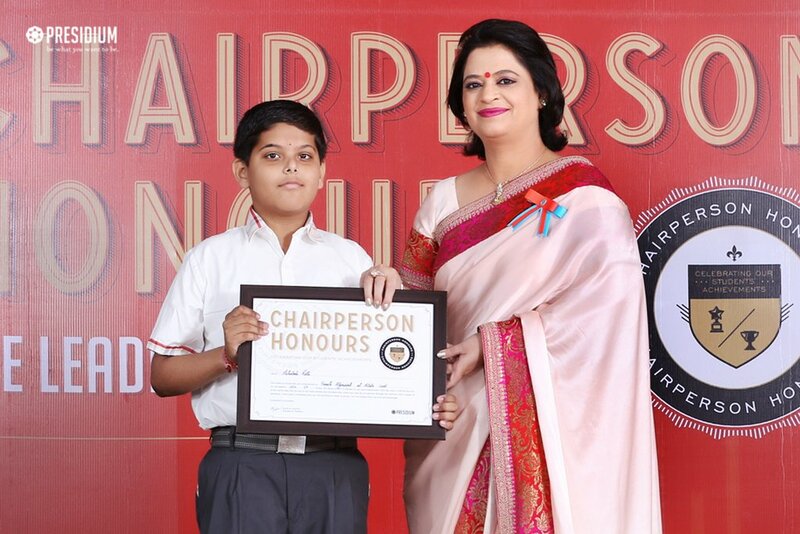 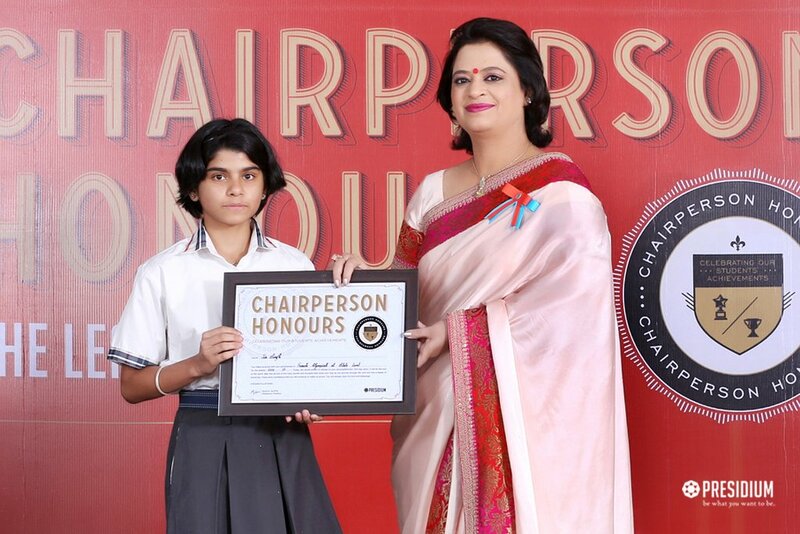 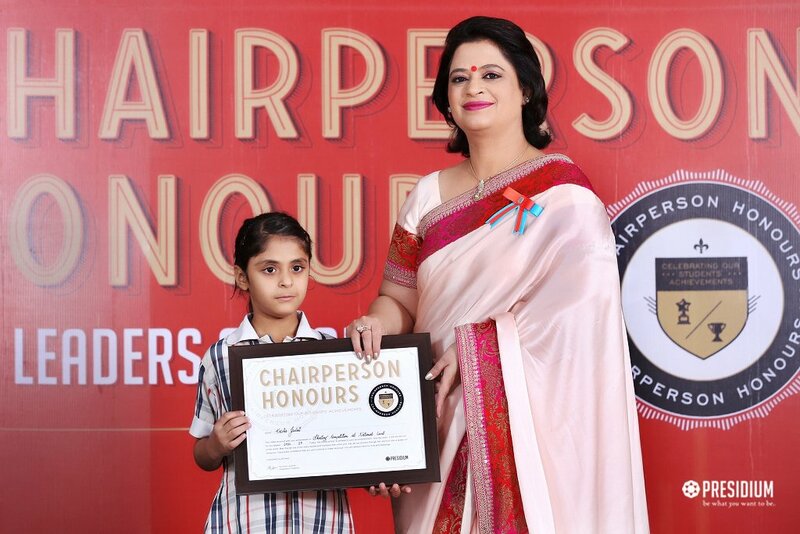 Naman Jha of Grade IV E, from Presidium Dwarka 16B, won the 1st Runners Up position in the Best Lyrics category at the National Level Group Singing Competition at the Itihaas Cheshta; conducted by Itihaas Anveshan.